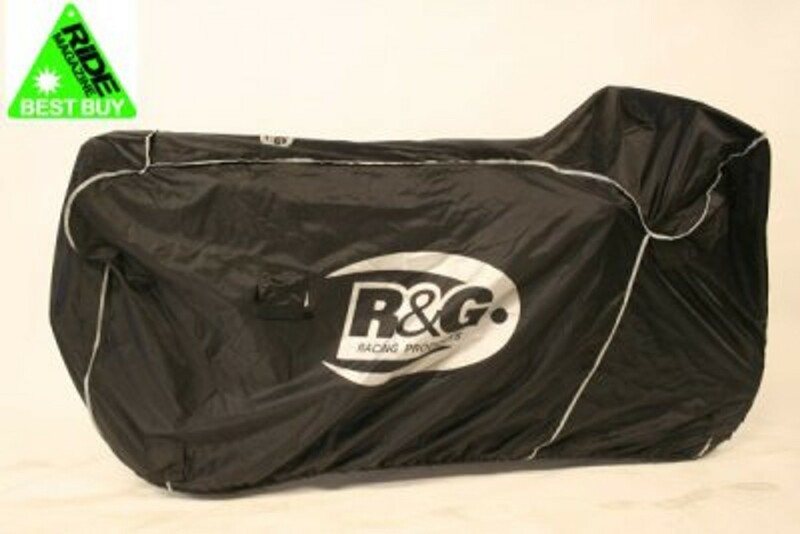 The R&G Superbike Outdoor Cover has been redesigned to include many new features. 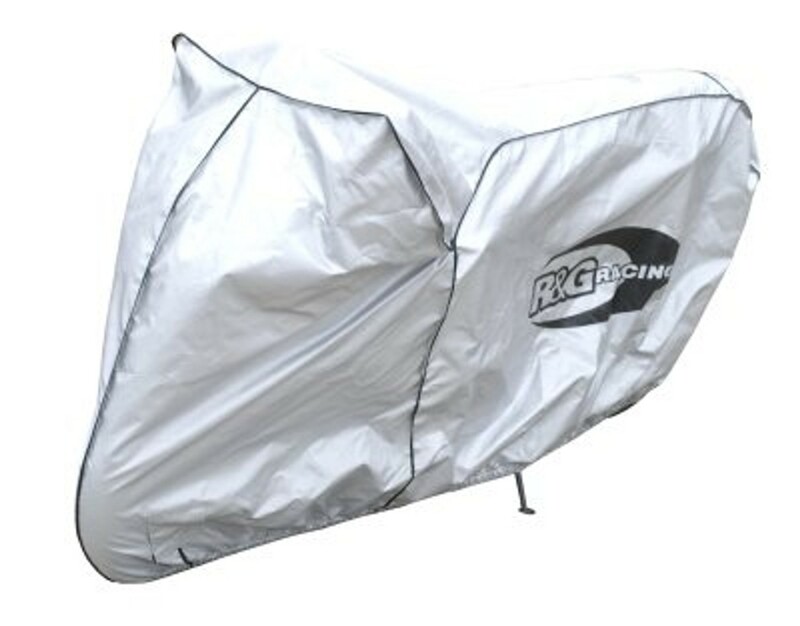 Based off our original award winning design and made of quality waterproof material, the cover also features elasticated rim and Belly straps as standard ensure the cover stays fixed in place and stops wind, mud or water getting up inside the cover and ensure a tight fit around the base. 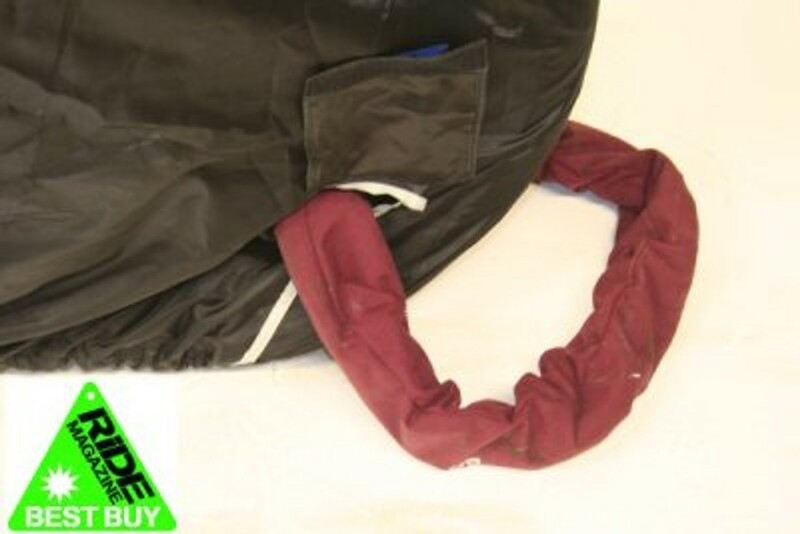 Front and rear chain loops for security devices covered by a velcro® closing flap to ensure the cover is fully waterproof and high-visibility reflective logos and trim piping for additional visibility at night. Suitable to fits on all modern supersports, sportsbikes and most dirt bikes and supermotos. 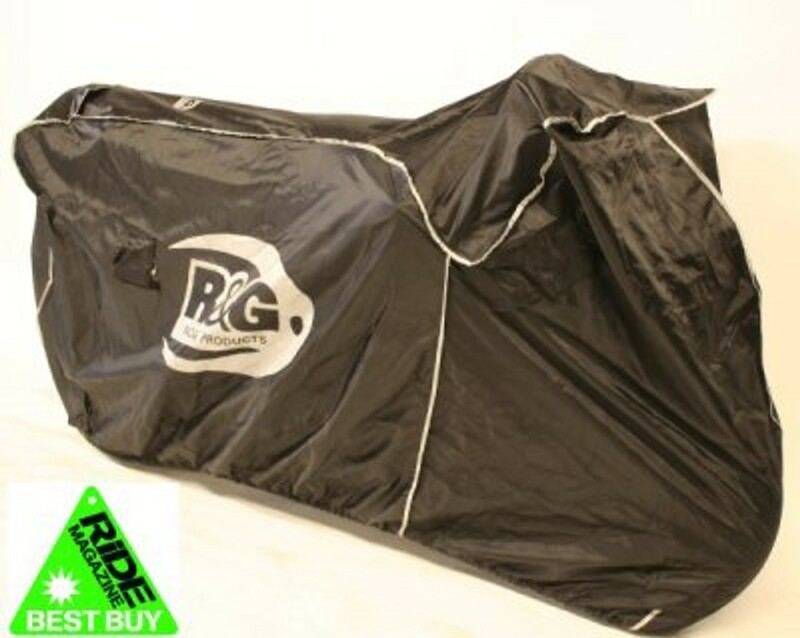 Awarded "Best Buy" by Ride Magazine (Dec '08 issue) this bike cover scored a straight 21/21 points - what more can you ask for! 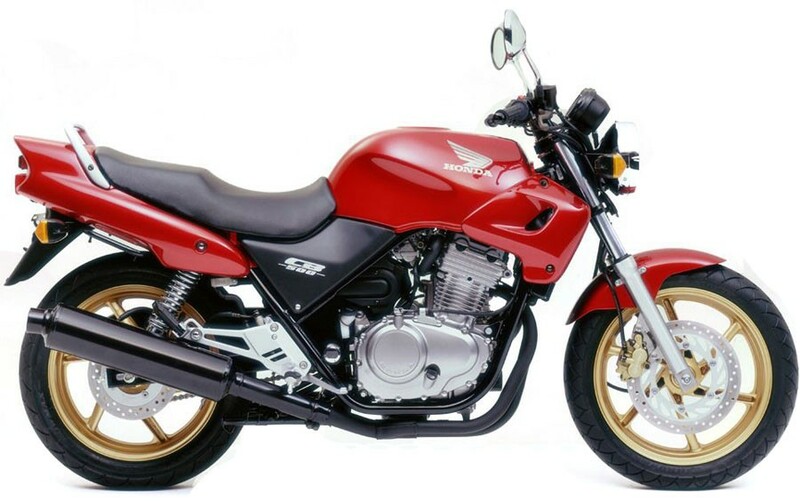 And Winner of Product of the Year 2010 by BikeChatter. 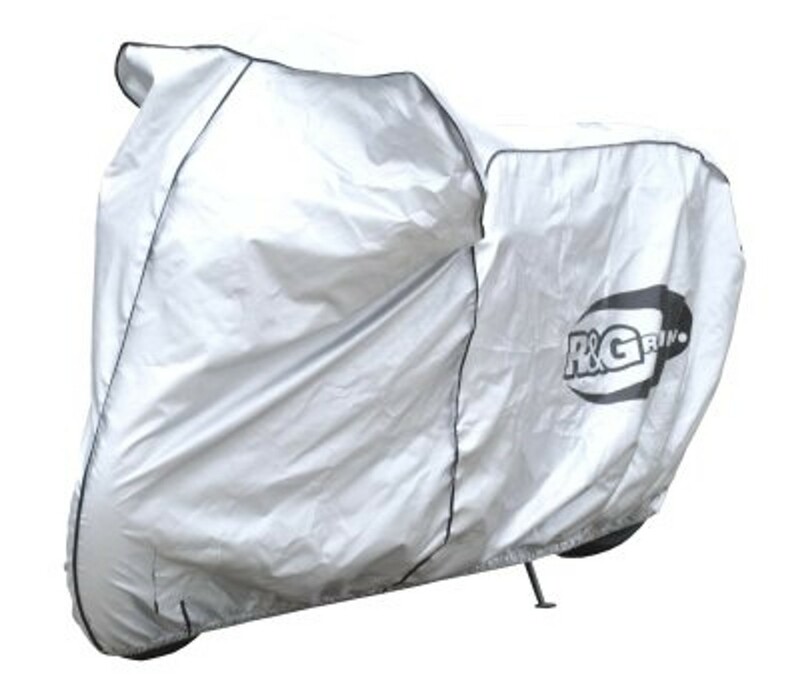 Features include: DURABLE WATERPROOF OUTER LAYER FRONT/REAR CHAIN LOOP FLAP ELASTICATED EDGING HIGH-VISIBILITY LOGO AND PIPING BELLY STRAPS WING MIRROR VENTS Suitable for a large range of bikes including MOST SUPERBIKE AND NAKED SPORTS MODELS.